“At around 11Am, I was in the theatre, for epidural anesthesia. The gynecologist was performing the surgical procedure. Soon as the baby was removed from my womb electricity went off. I heard the doctor saying that my life was in danger. He quickly sent one of his assistants to order for the generator to be switched on immediately. This indeed saved my life” Evelyn Namukasa, a mother of two. 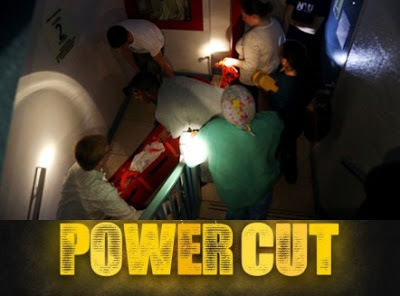 Consequently, interrupting electricity supply particularly through unexpected load-shedding, poses a direct risk to the lives of patients who may be in intensive care, receiving emergency treatment, or undergoing life-saving surgery. In Developing Countries like Uganda, where functional alternative power sources are limited, unplanned load-shedding in public health facilities is a bigger threat to livelihoods. health facilities and in some cases either directly or indirectly led to the death of patients. A new strategy has however been developed to hold the government accountable for such indiscriminate load shedding and violation of rights. CEHURD lodged a complaint with the Uganda Human rights Commission (UHRC) against UMEME Ltd and the Electricity Regulatory Authority (ERA) for specific declarations on violations of rights when public health facilities continue experiencing load shedding. The efforts to have this dream come true have however not been realized. In a letter to CEHURD dated 14th March 2013, UHRC recognized that “… the complaint discloses a human rights violation of the right to Health and there can be no legal right without a remedy ..”. However the letter went ahead to dismiss the complaint stating that “.. if the Commission was to take on the complaint it will be overwhelmed”. The laws establishing and regulating the operations of Uganda Human Rights Commission such as the 1995 Ugandan Constitution, the Uganda Human rights Commission Act cap 24 and the Uganda Human rights complaints procedures of 2008 do not exclude handling of complaints that raise Human rights violations on grounds that the Commission will be overwhelmed and unless the commission comes out to publically pronounce its self on the problem, many more rights will be violated and the progressive realization of the right to health will be a myth. CEHURD will continue to pursue this complaint and ensure that the Commission holds UMEME and ERA accountable.